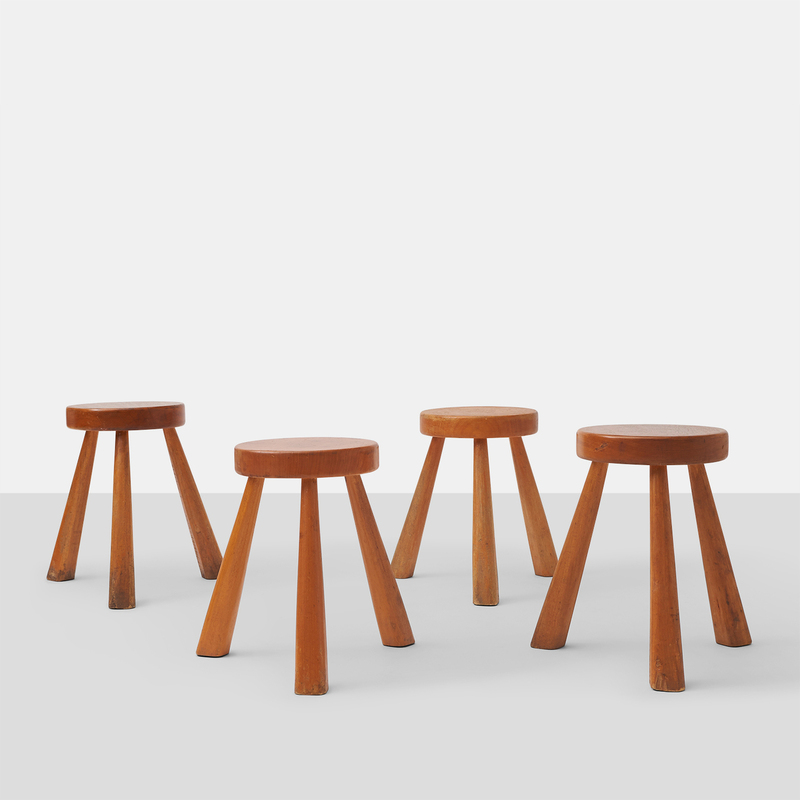 Charlotte Perriand Stools for Les Arcs. 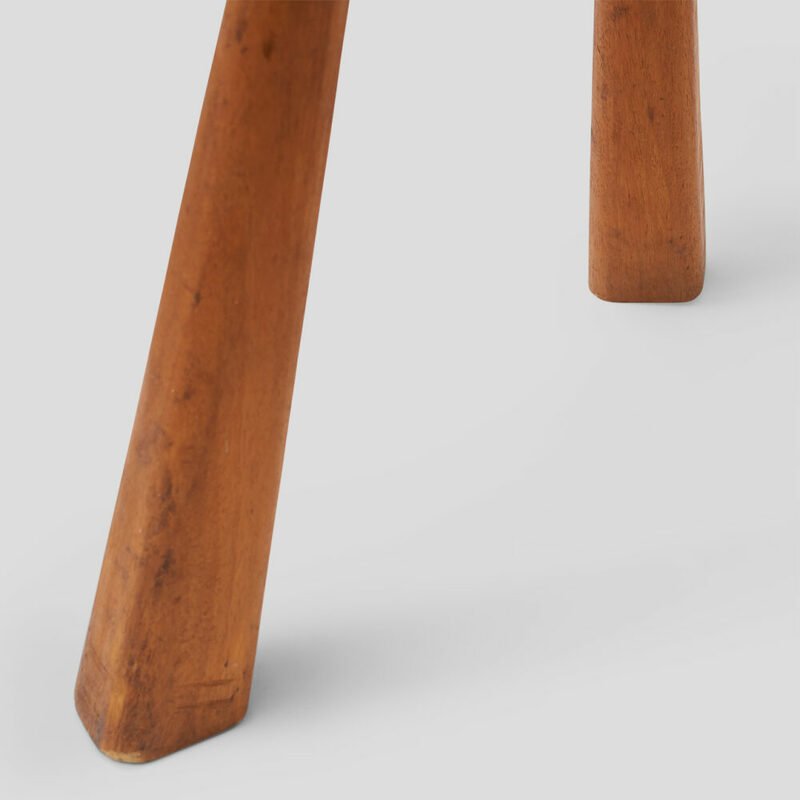 A very rare group of medium height oak stools with beautiful patina made for Les Arcs Ski Resort in Savoie France. One has a seat height of 18.5″ and two with 17.5″ seat height. 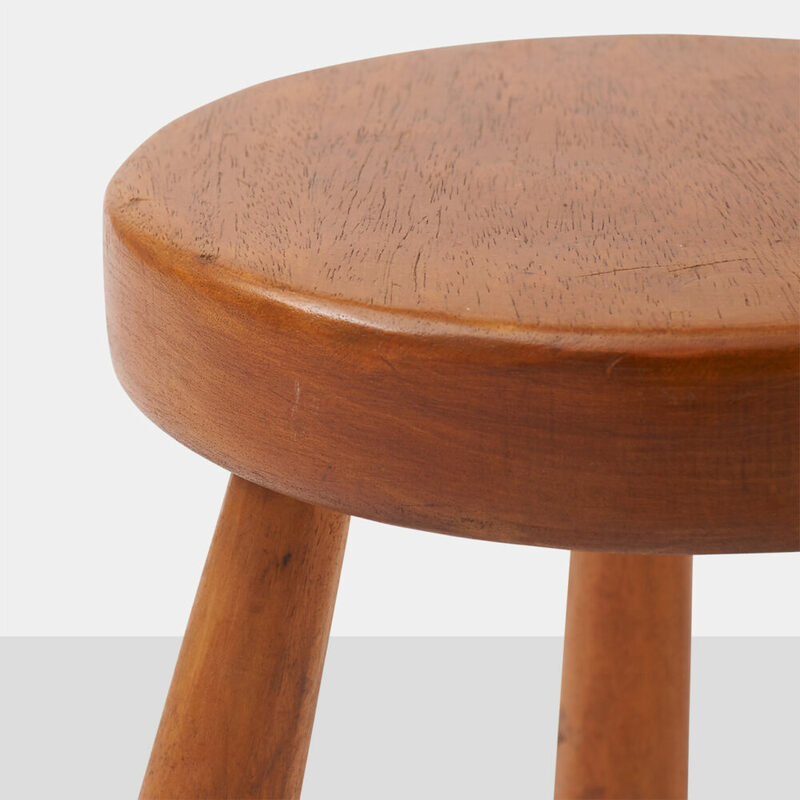 Diameter of seat on all is 12″. 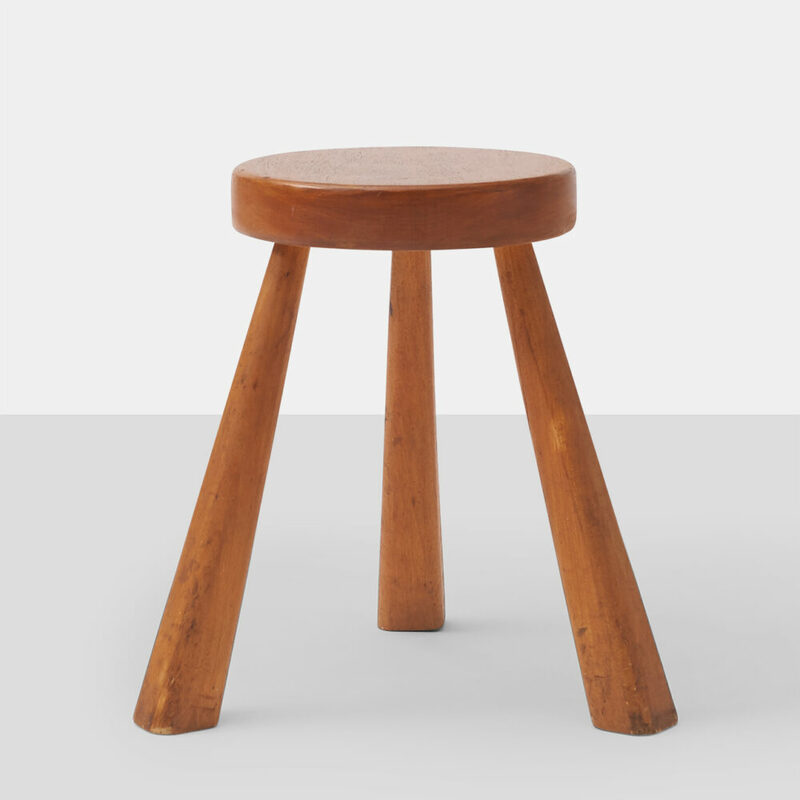 Note: Three stools remain available.